2017's most reliable source of schadenfreude has done it again, as BuzzFeed News reports that Martin Shkreli may be forced to clean out his obnoxious rich-guy toy box as part of his sentencing for securities fraud. In a forfeiture submission filed yesterday, prosecutors asked judge Kiyo Matsumoto to seize $7.4 million in Shkreli’s ill-gotten assets, beginning with keeping the $5 million bail Shkreli posted early on in the trial. 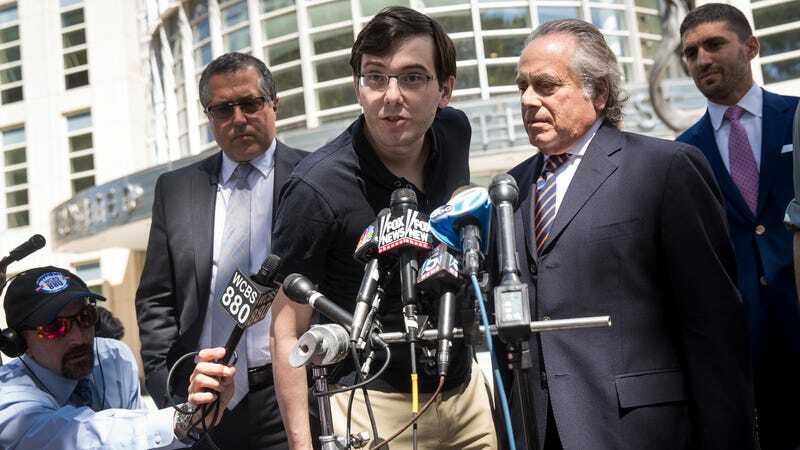 Ah, here’s a good one—the feds could seize Shkreli’s copy of the one-of-a-kind Wu-Tang Clan album Once Upon A Time In Shaolin, which Shkreli bought back in 2015 for a then-undisclosed sum that turned out to be $2 million. He then sold it on eBay for $1 million from prison back in September, although the buyer was never identified. Will the disrespect to the Wu-Tang Clan never cease?